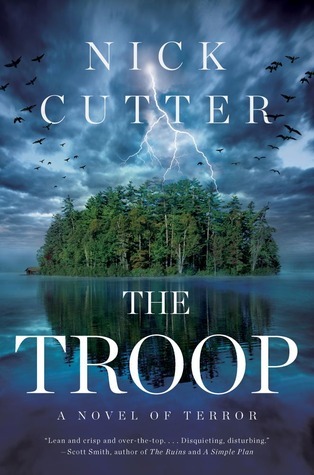 For this weeks Waiting On Wednesday I chose The Troop by Nick Cutter. The Troop sounds so good. I love Horror it is my favorite genre but lately the books seem watered down. To put it in movie terms they feel PG-13. I'm really hoping The Troop can break the cycle of sub par Horror. Even if it isn't scary if the story is good I'll be happy. Since I'm curious, Have you heard of The Troop before? What January 2014 releases are you looking forward to? What is your favorite Horror book or series? Ooohh sounds interesting. Reminds me a little of Cabin Fever. I love when people are trapped on an island and all hell breaks lose. Definitely. The only way off an island is boat and if those have been compromised then your only option is to stay and fight! It sounds like an interesting read!! Love the cover too!! Sounds like an intriguing read! Haven't heard of it before. i like my suspense novels but i don't think i can read a horror novel. that cover is fierce though! You never know you might love it! This is the kind of book that gives me nightmares and feeds into my paranoia infused 'what if' daydreams. I'm not entirely sure if I should check it out or not. It sounds quite gripping though, so that may be what gets me. Your header is eerily gripping. It gives me this uneasy haunted feeling. Whoever did it should be commended. Here's my WoW should you feel like checking me out at my book blog Vicariously! Awesome. I hope if you like it if you take the chance to read it. Love the sound of this one. Is it bad that anytime I read "bioengineered hazard", I automatically hope it's zombies of some sort? Hope this one is sufficiently creepy! Great pick! The story sounds intense and olive the cover. This does sound interesting and I do love the cover. I don't read horror books often, although I do love horror movies, so I don't really have a favorite series or author. I did see this book on Edelweiss (fyi). Great pick! Wow, this seems wonderfully creepy. And I love the cover. Great pick! I'm really hoping it is as creepy as it sounds. I haven't heard of this book but it sounds very interesting and super creepy! Ooh, Kristin! This does look good! I think I may have seen it once before but it was awhile ago. Oooh! This sounds really interesting! 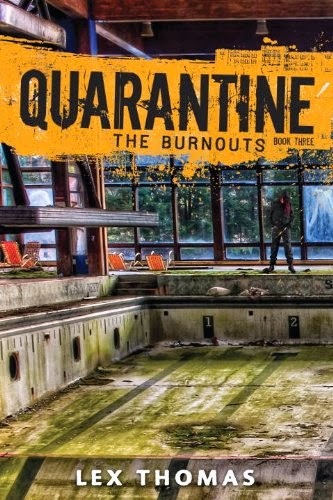 I'll be adding it to my TBR list! Great pick, thanks for sharing! Ooh, I hadn't heard of this book before but now I'm really intrigued! Definitely adding it to my TBR list so that I don't forget to check it out! Reminds me of Girl Scouts, although nothing as dangerous xD Thanks for stopping by my post! Looks good, I really like the cover. I really want to read Lord of the Flies and this book sounds so good! Awesome pick. Wow, I haven't heard of this one before, but it sounds kind of brilliant. Lord of the Flies was one of the few required reading books that I enjoyed. Oh yes that looks terrifying especially due to the mention of Lord of the Flies...I don't see this ending well.